The first self-storage in Hua Hin! The idea was born due to the strong demand of having somewhere to safely store personal belongings while relocating to a newer long term premises or simply to leave heavy luggage aside while simply continuing with your vacation. We also supply long term storage for those you have limited space in their current premises and do not want to dispose of some belongings. 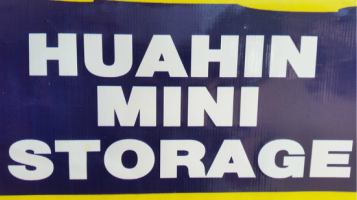 HUAHIN-mini-STORAGE has the right solution for your needs…!!! We offer spaces for rent, for long or short term, either daily, weekly or monthly.The rental fee for the storage-boxes starting from only 100 THB per day for a 75x75x50 cm storage box. Our storage facilty is a dry, secure and clean premises that has easy and convenient access hours. We offer different storage solutions, so no matter if you are looking to store a single suitcase or the contents of your house we have a suitable solution for you.